Now let's explore another exotic variation of the basic minor sound. 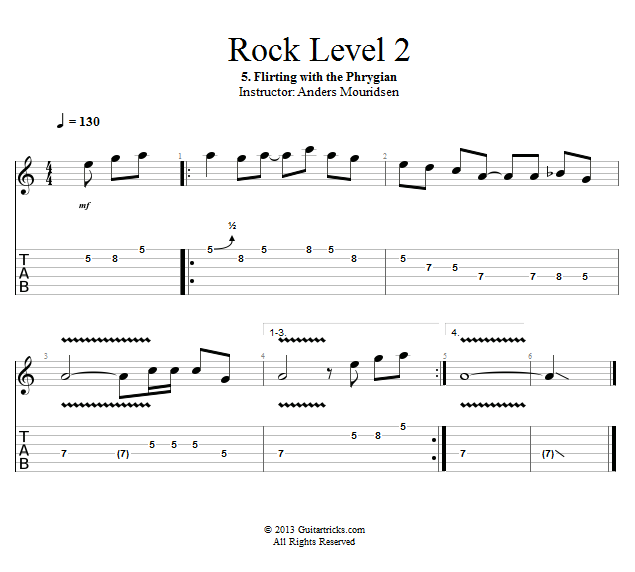 This variation lowers the 2nd scale degree a half step, and it's called phrygian. It has that mysterious desert sound, and in this lesson we'll explore how can be used in a rock context.